One woman and her struggle to stand in life, will she be able to stand tall without any man or is it a conventional story? Women’s position in this society is very fragile. Talk of society, or other walks of life, a woman is always feeble and brittle. Her dreams, duties, position, relationships; all are very complicated. When talk of a married woman, she is the most diffident and insecure near me. You might agree. A woman has nothing of her own, either she has inherited it or granted by her partner. There are very few women who possess something of their own, that may be wealth or property. While watching drama serial “Dua” on geo T.V; I strongly had these feeling of insecurity. The story of drama revolves around that girl Javeria whose life is full of love and romance when got married to her lover. Though her husband “Ashar” is rowdy angry young man and belongs to politically sound rich family, while Javeria belongs to a middle class family, but he loves her madly. Ashar’s family did not accept Javeria, so they married without their consent and lived separately. The two had best friends, Shees and Anoushay, who are very much influential in their lives and the young bloods are enjoying the life at fullest. Shees and Anoushay who are best friends to the couple and sooner getting married. Javeria’s mother is ill and poor but she tried to give her best in life. Today’s youth take decision abruptly and does not think of the consequences. This is what happened with Javeria and Ashar. As I mentioned above he is angry and very proud, in a fight with his wife, mistakenly divorced her. This is what shown in the initial story of the drama and I’m waiting what more is on our way. Shees found Ashar sitting alone and weeping bitterly and tries to help his friends. He also suggested them to do “Hallala” which is an islamic way through which divorced couples can be united again. What my question is, will the Hallala thing be effective and influential to grab audiences’ attention in this story? Even if a woman is submissive to her husband; those three words leave her stand nowhere and it is she who has to do Hallala and bear the pain of being someone else's wife. I have always been confused about the Hallala strategy, either which is the right and legal way to do Hallala and really there isn’t any other way to unite with your husband? May be we see many flaws in this way but my point is still the same. Why women in our society so insecure that few words can break and crush them in so many pieces. Either we are going to see how Javeria will get empowered or will foolishly try to get back to her Husband. Shees is more than a friend and I see bigger role of shees in Javeria’s life. Will he postpone his wedding and offer his services to his friends for Hallala or he will eventually fall in love with Javeria.? Shees’ would be wife is a soul sister to Javeria, how Anoushay will respond to this situation we have to wait and watch. 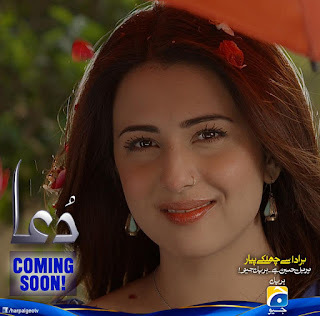 The title track of drama serial “Dua” is very genuine and you would love it. 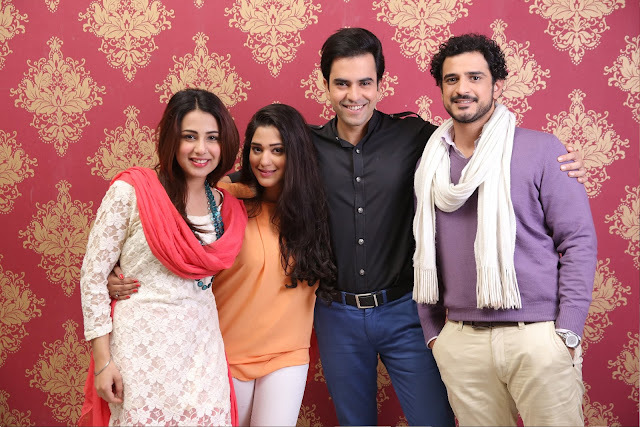 Ushna Shah is a bubbly actress and getting better with her every project. The new face Daniyal Raheel is in role of Ashar and is doing very well till now. In fact I love the chemistry between Ushna and Daniyal. On the other hand Juanid Khan can be seen as Shees, who is going to be scape goat as Ashar is going to request him for doing Hallala, because this has to be a secret and Ashar cannot rely on anyone else. The story is quite interesting and it may also be a lesson for our youth who are abrupt in decision making. 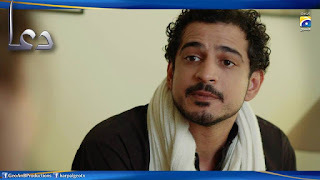 Dua’s cast contains Zainab Ahmed, Hina Khawaja Bayat, Manzoor Qureshi and others. Story is written by Wasiq Ali and directed by Ali faizan. Either you going to love the drama or reject it, but as I recommend this is a must watch if you are sick of second marriage trauma. Other than story, the cinematography, lavish houses and Ushna’s pure desi dressing style is good. Daniyal’s rough and tough looks also makes him attractive and Junaid is in as usual playing role of a good, handsome elegant rich boy. But I have a question, why Geo TV is emphasizing on rich families’ stories more? Well apart from that the drama is a good watch.